Batten’s philanthropic efforts and dedication to education have benefited multiple universities in Virginia, including William & Mary, Hollins University, Old Dominion, Virginia Wesleyan and the University of Virginia. She is also keenly interested in early childhood education. She and her late husband, Frank Batten — founder of Landmark Communications and former member of the William & Mary Board of Visitors — established the Batten Educational Achievement Fund Fund at the Hampton Roads Community Foundation in 2003 with a goal of helping pre-K-12 students in southeastern Virginia have excellent educational opportunities. Batten also helped create Norfolk’s New E3 School, an early education center that offers state-of-the-art education to children ages 1-5 from all socio-economic levels. At William & Mary, Batten helped launch the Raymond A. Mason School of Business’ new Center for Online Learning. In 2017, the university named her an honorary alumna. Batten has served on multiple boards, including Virginia Wesleyan’s for three decades. The Jane P. Batten Student Center at Virginia Wesleyan is named in her honor, and she made a lead gift to the college’s Key to the Future Campaign, funding multiple endowments, including the Batten Professorship. Her generosity also helped to create Virginia Beach’s Brock Environmental Center and Norfolk’s state-of-the-art Slover Library. A graduate of Hollins University, Batten has been a board member for Elevate Early Education, the Hampton Roads Community Foundation, the Slover Library Foundation, the Chesapeake Bay Foundation, the First Tee of Hampton Roads and the George Washington Foundation. She is also a lifetime trustee of the Virginia Foundation for Independent Colleges. Batten has received numerous accolades for her work. She received the 2014 Darden Award for Regional Leadership from the CIVIC Leadership Institute and the Pete G. Decker Downtowner of the Year Award from the Downtown Norfolk Council. She was named one of the Most Influential Virginians by Virginia Business magazine and Norfolk’s First Citizen by the Norfolk Cosmopolitan Club. She was also included on the Hampton Roads Business Journal’s 2016 Power List. Graves is an internationally celebrated mezzo-soprano who has performed in many of the world’s most famous opera houses and concert halls. She is best known for her title roles in the operas “Carmen” and “Samson et Dalila,” but she has also starred in such productions as “The Rake’s Progress,” “Margaret Garner” and “Werther,” in which she performed alongside Andrea Bocelli. Graves has performed pieces from myriad musical genres, from German lieder to Broadway musicals to jazz and American spirituals. She has also performed with such conductors as Riccardo Chailly, Myung-Whun Chung, Charles Dutoit, Christoph Eschenbach, James Levine, Zubin Mehta, Lorin Maazel, Kurt Masur, Riccardo Muti and Mstislav Rostropovich. In response to the terrorist attacks of Sept. 11, 2001, Graves was invited by then- President George W. Bush to the National Prayer Service in the National Cathedral, where she sang “America, the Beautiful” and “The Lord’s Prayer.” That performance, which aired live on TV, led to Oprah Winfrey inviting Graves to appear on an episode of her show about healing through gospel music. 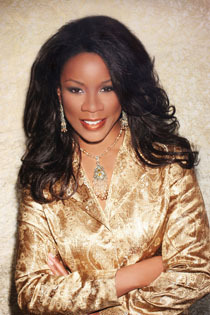 Graves has been featured on multiple news and media programs, and PBS released a video and audio recording of her performing Christmas music in the National Cathedral. She has released numerous other recordings, including “The Lost Days” and “Church” with performances by Dionne Warwick and Patti LaBelle in a variety of musical genres. Graves has received many honors, including the Grand Prix du Concours International de Chant de Paris, the Eleanor Steber Music Award in the Opera Columbus Vocal Competition and the Grand Prix Lyrique from the Association des amis de l’opéra de Monte-Carlo. She has also received honorary degrees from Oberlin College, the College of Saint Mary and Centre College. She is currently a member of the voice faculty of the Peabody Conservatory of Music in Baltimore. She grew up in Washington, D.C., and attended the Duke Ellington School of Arts before attending college at Oberlin Conservatory of Music and the New England Conservatory. 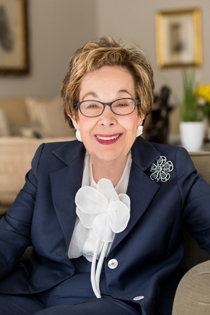 Shainwald is a lawyer, avid art collector and activist who has fought for women’s rights, especially in the area of health, for more than four decades. She has litigated thousands of cases involving drugs and devices that were harmful to women and their children, such as the pharmaceutical drug Diethylstilbestrol. In addition to her activism in the U.S., Shainwald has also worked for women’s rights around the world in places like Bangladesh, India, Kenya and China. She was instrumental in changing the statute of limitations in New York State to a discovery statute, transforming the practice of mass torts. Shainwald has written extensively about women’s health issues and has testified before the FDA and Congress. 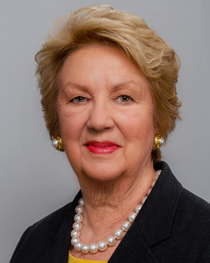 Her work has earned her multiple awards, including the President’s Medal from New York Law School, the Dean’s Award from Columbia University, the Susan B. Anthony Award from the National Organization for Women, the New York County Lawyers Association’s Edith I. Spivak Award and an honorary degree from New York Law School. Shainwald has been chair of the National Women’s Health Network, co-founder of Health Action International, a founding member of Trial Lawyers for Public Justice and a member of the FDA’s Consumer Consortium. She has also worked with the Hysterectomy Educational Resources and Services Foundation. She currently serves on the Board of Trustees of New York Law School. Shainwald was a President Bryan Scholar at William & Mary and graduated Phi Beta Kappa from the university in 1948. She went on to attend Columbia University after having four children, receiving her Master of Arts degree in 1972. Initially denied admission to law school in 1962 because of her age and gender, Shainwald went to New York Law School while also serving as the director of the Center for the Student Consumer Movement at Consumers Union. She graduated in 1976. Shainwald has returned to William & Mary multiple times to speak with students. In 2012, a group of students at W&M Law School — the Initiative for Gender, Sexuality and the Law — held its first major conference, and Shainwald served as the keynote speaker. That same year, she was inducted into W&M’s chapter of Omicron Delta Kappa — an honor she was ineligible for when she was a W&M student because women were excluded from membership at that time. In 2013, she authored an article, “Reproductive Injustice in the New Millennium” for what was then called the William & Mary Journal of Women & the Law. That journal, renamed the William & Mary Journal of Race, Gender and Social Justice, dedicated a volume to Shainwald in 2018.